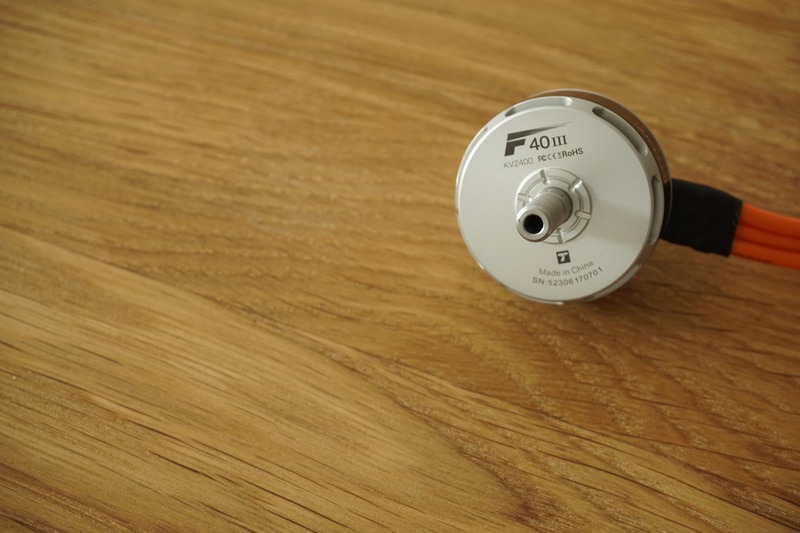 In the past few months, T-Motor has updated their F-Series motors by offering a Pro version and third generation of the popular F40 motor. 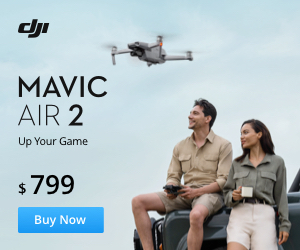 We decided to do a quick comparison between both motors, so you can decide which one fits better your drone. First, we are going to perform a general comparison and second compare the thrust results of both motors. 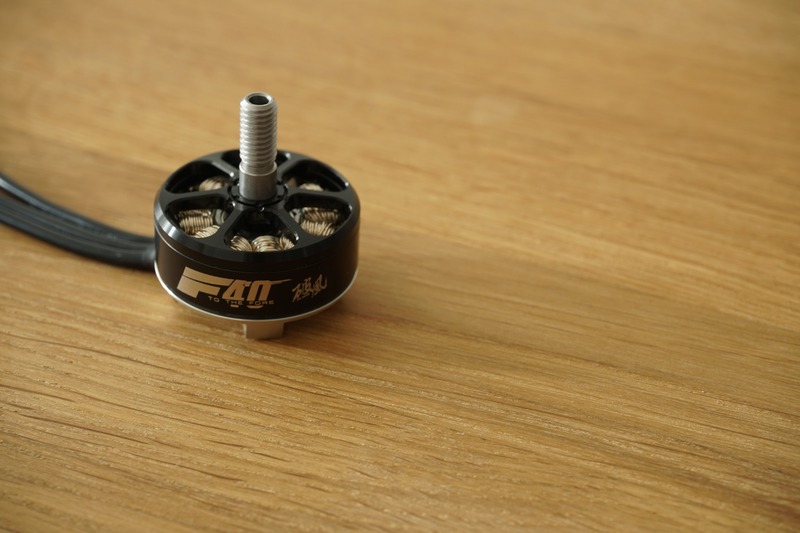 The F40 Pro and F40III have same stator size (23mm x 6mm), which means they should perform very similar on the thrust tests or at least helps for a good comparison of those results. Due to its design, the F40III is slightly bigger and heavier. The design of the F40III motor is classic and very similar to the U-Series by T-Motor. It reduces the risk of dust entering the motor and makes it water-proof according to the manufacturer. It probably means you could use it in little rain. 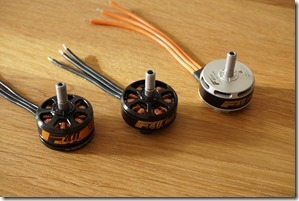 The motor wires have the same 18AWG rating as the wires of the F40 Pro. T-Motor has just changed the colour from black to orange, which makes it look nice. The F40 Pro looks very similar to the previous F40 generations. 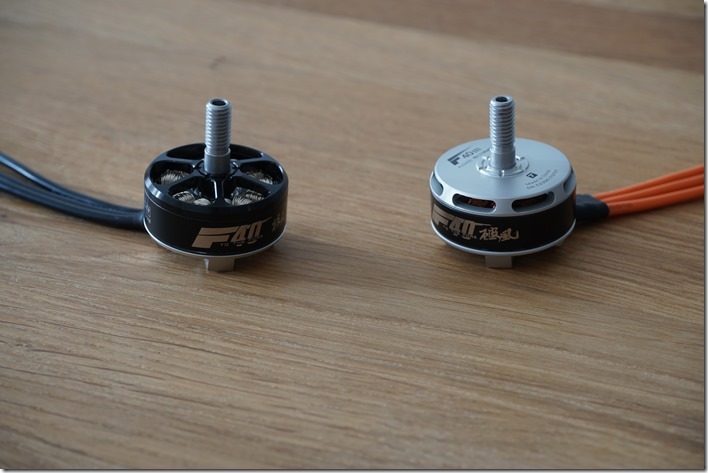 The single noticeable difference besides the design is the motor windings. T-Motor is using silver coated wires in this motor. It should improve the overall performance and cooling of the motor. 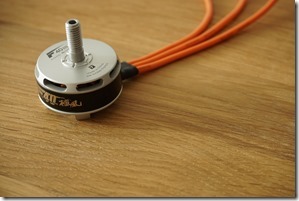 Both motors have a 5mm hollow shaft and standard 19x16mm mounting holes. 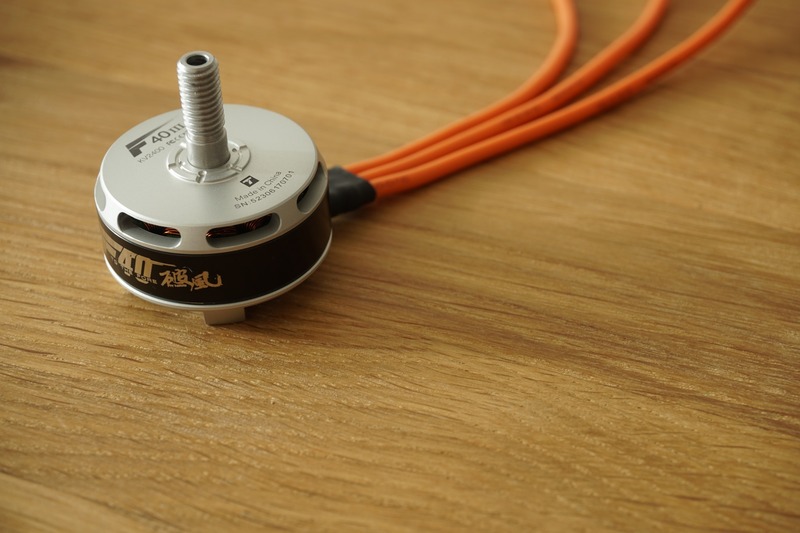 T-Motor is using arc magnets to improve the efficiency in both models. 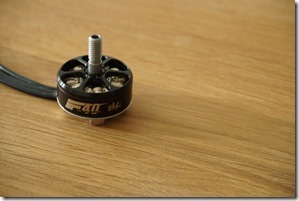 Testing of the motors was performed on the RCBenchmark 1520 Tool. The setup included the latest Aikon 35A BLHeli32 ESC, 5” and 6” propellers and 1200W SkyRC power supply set at 16.8V (4S LiPo). The tests were done with KingKong 5×4, HQ5x4x3 Skizzo and KingKong 6×4 propellers. 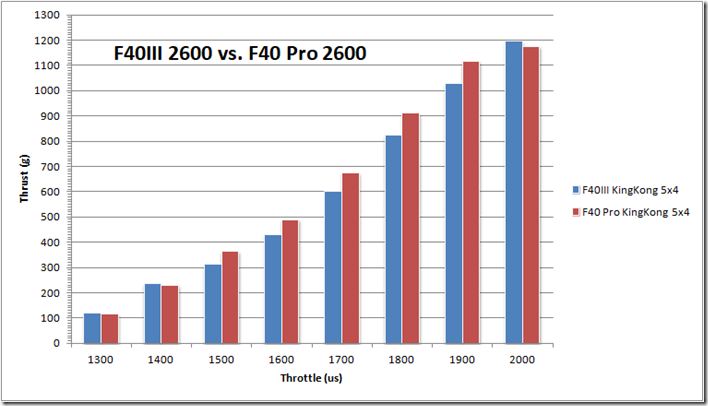 You can clearly see that at every throttle stage (1300us-2000us) the F40 Pro motor provided about 100g more thrust than the F40III. Maximum thrust with the 6” propeller was 1643g and current topped at about 47A. Motor and Aikon 35A ESC got hot, but in real flight, those should be absolutely fine. Note: complete excel data including voltage, current and motor efficiency could be downloaded here. The second test was done on the 2600KV version and just with a 5×4 propeller as we were worried not to burn the motor and ESC. 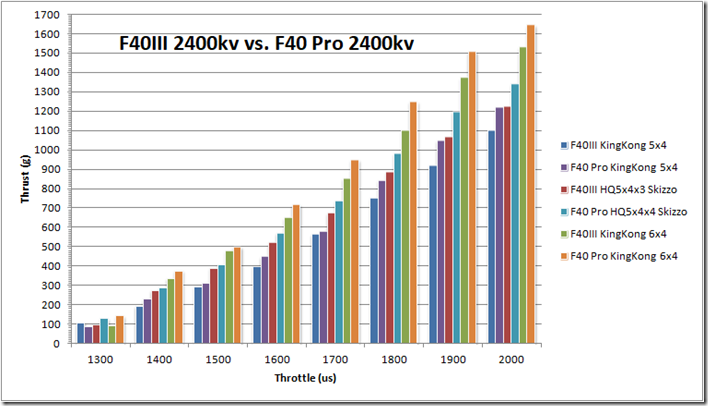 Just like the F40 Pro 2400Kv, the Pro 2600kv is performing better than the F40III version. 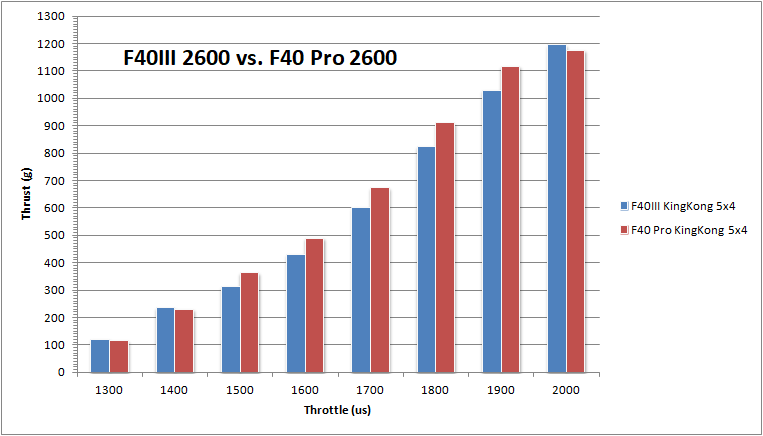 However, on maximum throttle (2000uS) the F40III provided slightly more thrust than the F40 Pro. Due to the fact that the test was performed just once, it could be a wrong reading from the sensor. We like the fact, that T-Motor is not making any compromise on the manufacturing quality. If you are looking for best quality motors in the range of 25$/pcs you should consider picking one of those motors. The F40III should be prone to crashes due to the different design and be more suitable for freestyle flying and beginners. 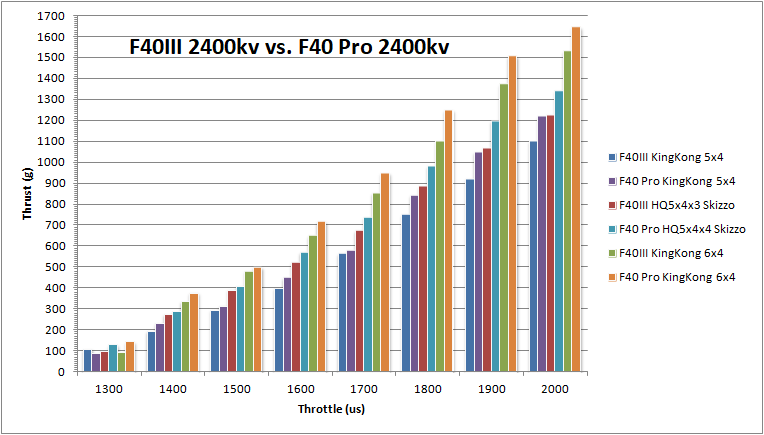 On the other side, the F40 Pro should provide more power and fits better the needs of professional FPV pilots. For more news and reviews please follow us on Facebook or subscribe to the newsletter. Update 16.02.2019: As of today there is a newer version of the F40 Pro available – read more about the F40 Pro III. The difference in output thrust is so consistent and significant that l am wondering if the motors have different kv despite being both rated 2400 kv.